Joyel, who works with my boyfriend George, asked me to do a shoot for her and family up in York Maine. Not realizing how many of them would be in the photos, I was a little shocked when there were 9 of them all dressed up ready to go! But hey - I come from a big family (9 kids in all) so I am completely comfortable with large groups :) Plus, I dragged good ol George along for the ride. But he is actually a good assistant and knows all the lenses in my camera bag! So this family kept me laughing throughout the whole shoot. From the goofy faces Joyel's son's gave me, to the censored images of her parents (those are not here on the blog), to the moment when Joyel actually asked how to make a goofy face (also not here on the blog) I seriously could not stop laughing! One thing that I really enjoyed about this shoot was the location. We were in York Maine, which is about an hour north of Wakefield, MA. It is a beautiful town and I recommend you visit. There are lots of cute little shops and nice restaurants with outdoor dining. Plus a great beach which you can swim at (if you can stand the new england cold oceans). After some shots on the beach, we went up to the lighthouse. The drive to the lighthouse was amazing. The beautiful homes and views were a sight to see. When we got to the lighthouse, I was able to find a great spot to have it in the background. 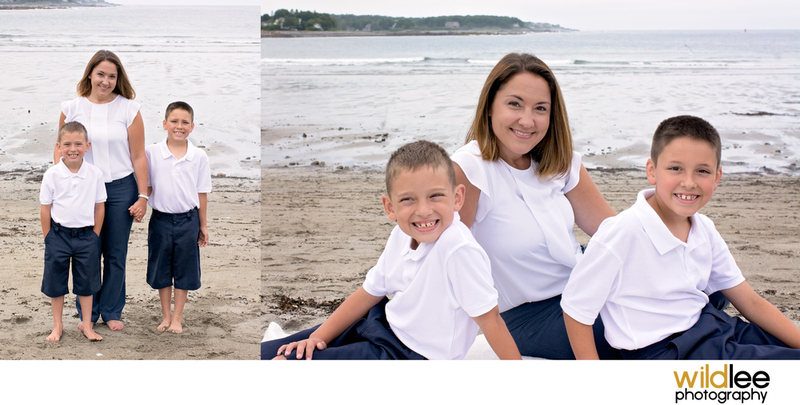 It was a fun shoot and a great quick trip to Maine! 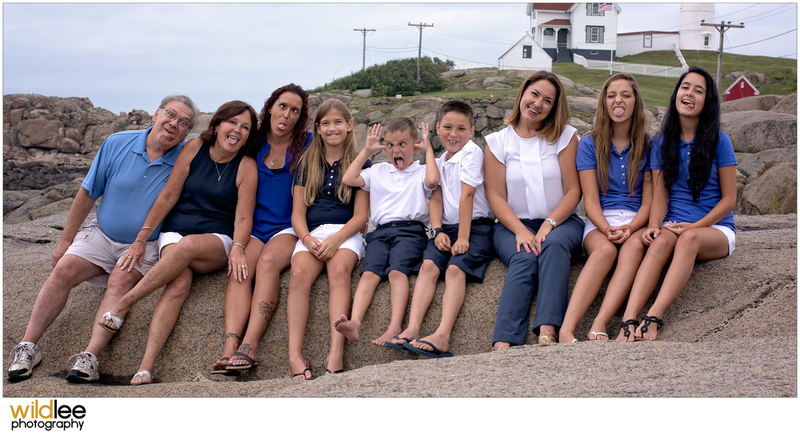 I hope you enjoy the images below of this super fun family shoot.